The ability to call a business is often critical in helping potential customers complete a purchase. In fact, 61% of mobile searchers say it's extremely important to be able to call a business during the purchase phase of the shopping process.1 Measuring these phone calls to your business is essential for understanding the full value of Google search ads and making informed decisions for acquiring new customers. That’s why we’re excited to announce the launch of Google forwarding numbers in Canada. 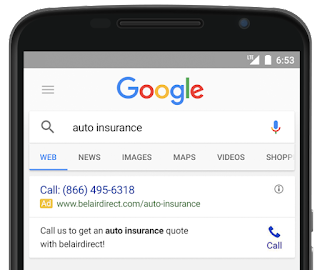 Google forwarding numbers are an important step toward measuring the phone calls you receive through Google search ads. When you use Google forwarding numbers with your call extensions and call-only campaigns, we’ll dynamically assign a unique phone number to your ad. When a customer calls that number, AdWords will route the call to your business phone number while providing you with useful information about the caller’s area code, call duration, and whether the call was answered. Many people who search for local businesses prefer to call a phone number with a recognizable area code, which is why Google forwarding numbers will show a local Google forwarding number, where available. For example, if your business is based in Vancouver, your ads are eligible to use a “604” area code with your Google forwarding number. While call extensions and call-only ads are very effective, many customers also call your business after clicking through a Google ad and learning more about the products and services you offer on your website. Website call conversions is a powerful tool that dynamically inserts a Google forwarding number on your website to identify and measure the calls that occur after a Google ad click. When someone clicks on your website’s phone number or dials it directly from their phone, you can attribute the call and call value back to the keyword and ad that drove the customer. In addition to measuring call conversions, Google forwarding numbers also allow you to assign a conversion value. For example, a business might assign a revenue value to calls that last over 5 minutes. By measuring these calls, you can automatically optimize your keyword bids to drive more valuable calls using Target ROAS. This flexible bid strategy factors in signals like device, location, and time of day to make auction-time bid adjustments that maximize call conversion value, while reaching your business goals. With the launch of Google forwarding numbers, you can now report on call metrics and conversions, measure website call conversions, and optimize your bids to drive more valuable phone calls. 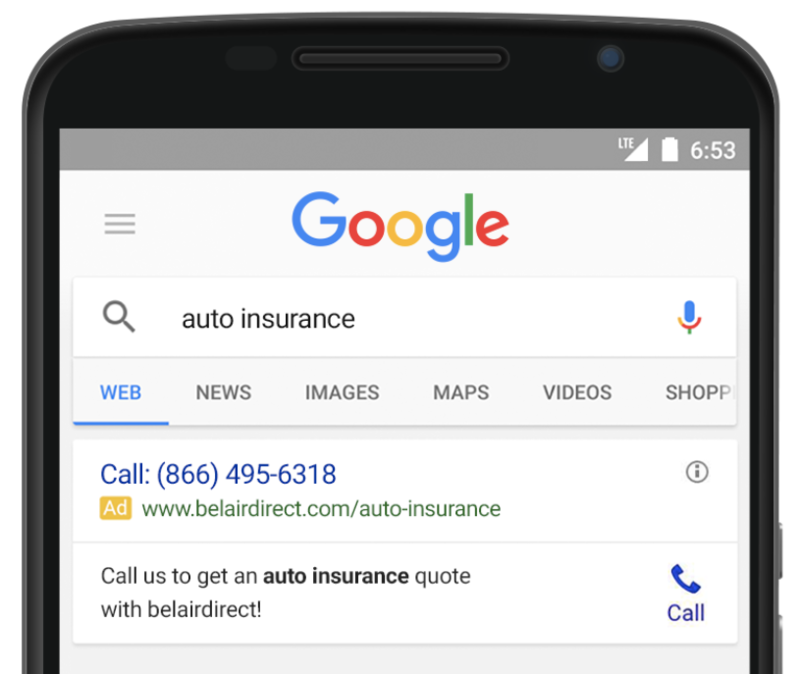 You can learn more about each of these products in the AdWords Help Center and read our best practices for maximizing performance with calls.